On June 14th, Warner Bros. Records will release the album to the new motion picture Transformers: Dark Of The Moon - the third film in the Oscar-nominated summer blockbuster Transformers series, which hits theaters nationwide on June 29th. Released in Standard, iTunes Deluxe, and Game Stop configurations, the Transformers: Dark Of The Moon album features music from LINKIN PARK, MY CHEMICAL ROMANCE, TAKING BACK SUNDAY, ART OF DYING, THEORY OF A DEADMAN, BLACK VEIL BRIDES, SKILLET and MASTODON (who contribute a cover of ZZ TOP's 'Just Got Paid'), as well as new music from PARAMORE and GOO GOO DOLLS debuting exclusively on the album. The iTunes Deluxe edition also includes tracks from BIFFY CLYRO, STONE SOUR, and SERJ TANKIAN, while the Game Stop version includes songs from MIDDLE CLASS RUT and D.R.U.G.S. 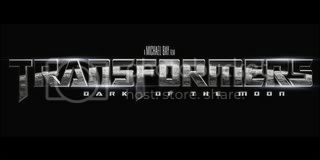 Opening in theaters on June 29th, Transformers: Dark Of The Moon stars Shia LaBeouf, John Turturro, Josh Duhamel, Tyrese Gibson, Rosie Huntington-Whiteley, Patrick Dempsey, and Kevin Dunn, with John Malkovich and Frances McDormand. Shia LaBeouf returns as Sam Witwicky. When a mysterious event from Earth's past erupts into the present day it threatens to bring a war to Earth so big that the "ransformers alone will not be able to save us.